Florida 360 is proud to assist immigrants to fully settle in the USA through the several investment visa programs currently available. 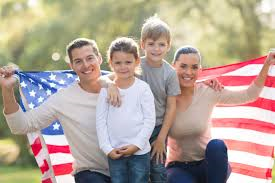 Through an investment of minimum $500,000 (+ administrative and immigration fees), the investor and his/her immediate family (spouse and children under 21 years old) receive a green card, and after 5 years may apply for the US citizenship, which in turn brings many financial benefits! This is the only investment program that leads directly to the green card. For eligibility, the investor needs to have no criminal record and be able to prove the source of the funds. If you are citizen of a country that has a treaty with the USA, you can obtain an investor visa through owning a business in the country. This visa could be issued for a 2-5 year period and be renewed indefinitely. There is no minimum investment required, but there are several rules that need to be applied. If you worked or have worked for a company overseas for at least a year within the previous 3 years and hold an executive position (manager, director etc), you could be transferred to a company or business established in the USA. The company in the US needs to be directly related to the company overseas. There are several rules that also needs to be considered.